I find it humorous and still tragic to see thousands upon thousands of entrepreneurs who are frantically searching for the silver bullet to their greatest success. More times than not, the silver bullet looks a lot like just hard work. Often in my high-end coaching sessions, my client will bring in an “enormous challenge” that is keeping them from getting to their goals. We work through a process that I have developed to consider multiple solution paths, and voila! the challenge is not near as difficult as first thought. It is common for us to psych ourselves out and become convinced that our challenge is unsolvable. When in reality, the fear or confusion is what we are focusing on rather than the potential solution. If we can learn how to back up and gain perspective, creativity will soon follow in almost every circumstance. My experience has always been that silver bullets, shortcuts, and fast tracks tend to sound better than they actually work. 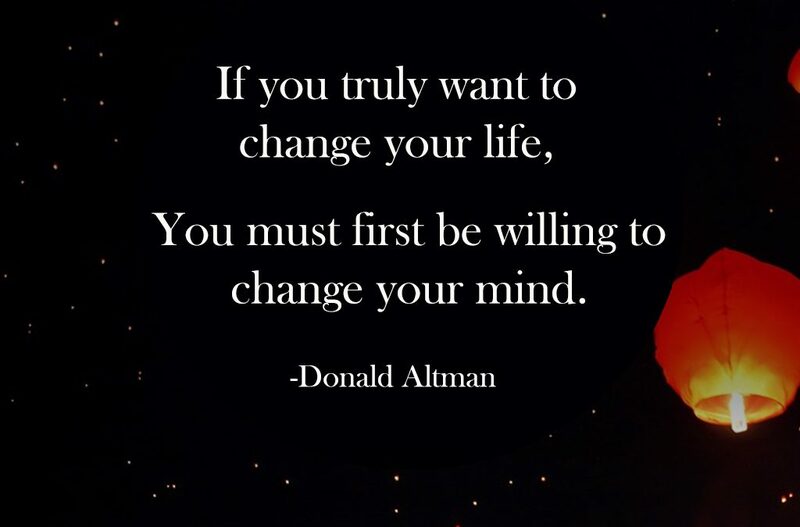 We have to get out of our own head, know what the solution is within us, and release your thoughts to let it come to the front of your consciousness. More times than not, our fear is bigger than our challenge. We’ve spent several days talking about the power of perception and what it means to your journey. Today is no exception. In fact, it’s probably the most important principle around perception. It is important for us to pay attention how other people see us. It helps us clarify a lot about who we are and where we choose to belong. 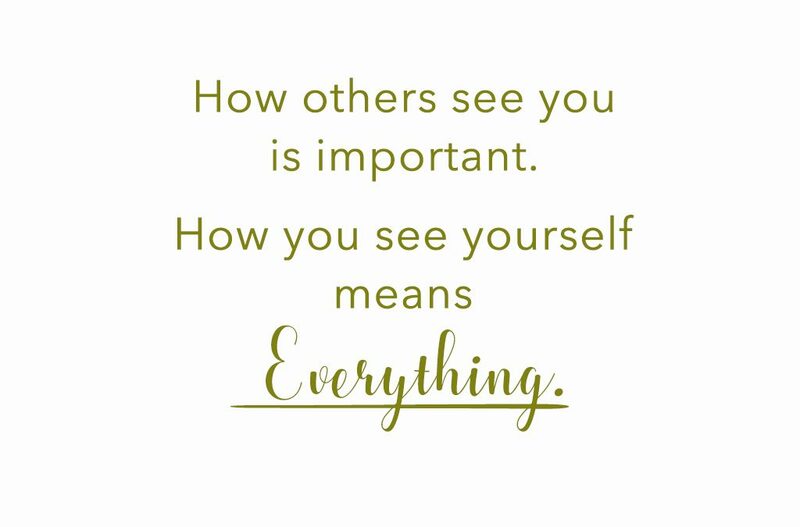 However, it is even more important for us to focus on how we see ourselves. If we see ourselves as successful, as powerful, as forward, and as a leader, we are far more likely to be successful than if we see ourselves as a victim, or as someone who is going to suffer hardship. It is a life changing principle that we have to learn and then master. Certainly, there are things in life and business that are outside of our control. However, our ability to see ourselves as our best potential self greatly gives us enormous momentum and an advantage in actually achieving our dreams. Wealth is a fascinating topic among entrepreneurs like you and me. Many would say that they started a new venture to make a better life for their family. While other entrepreneurs may see a new venture as something noble that has a higher calling to life than the everyday corporate gig. What about you? Why did you start something on your own? What was that first spark of a dream for you? Don’t get me wrong, the money of building your own company can be pretty fantastic. However, I would say that success can be both a blessing and a curse. Why? The blessing of wealth certainly has its advantages. With the money, we can do more, go more, and experience more. Yet, I argue that money is not true wealth. Money is a vehicle TO true wealth. 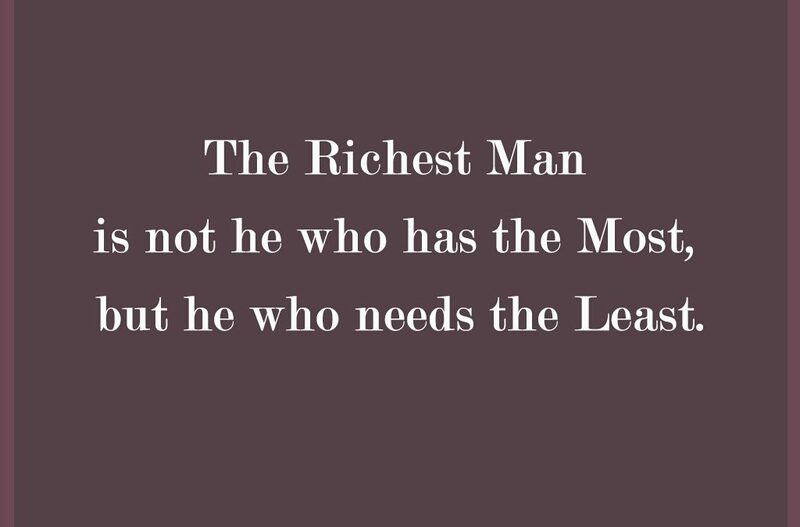 Sadly, money can also be a deterrent for many in finding genuine wealth. As with our Mindset for Today, “needing little [or nothing]” is the key to wealth. I know this to be true. I enjoy nice things, but I am no longer enslaved by the pursuit of nice things. The result is wildly freeing mentally and emotionally. Perhaps you should try it. 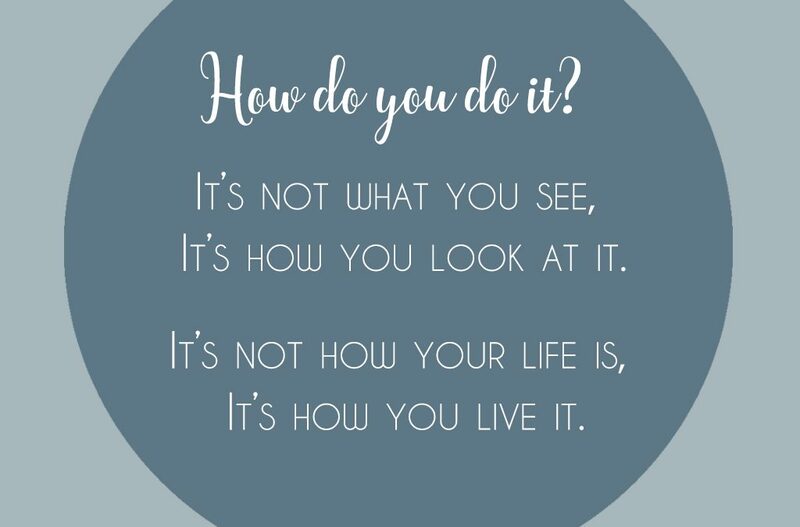 So much about what we do is based upon our perception of what we see. When we see challenges and problems, if we see solutions inside those challenges and problems, we will overcome them. However, when we allow ourselves to fall prey and feel like we are trapped in thinking there is no path to success, our mind will shut off, and creativity and problem solving will flee from us. Don’t believe me? Over the past several years, I have begun training myself to where when issues happen, I quickly go inward and focus on looking for solutions rather than giving in to fear and limited thinking that can come with that. How I deal with the onset of problems and challenges has a significant amount to do with how I solve those challenges. In almost every way, your initial approach will determine the outcomes and where you end up. When I first came across this quote, I laughed about it and almost dismissed it until I stopped long enough to think about the real strength of what it says. Simply because it comes from a fictional character, from the Pirates of the Caribbean series, does not mean that we should dismiss its true value. 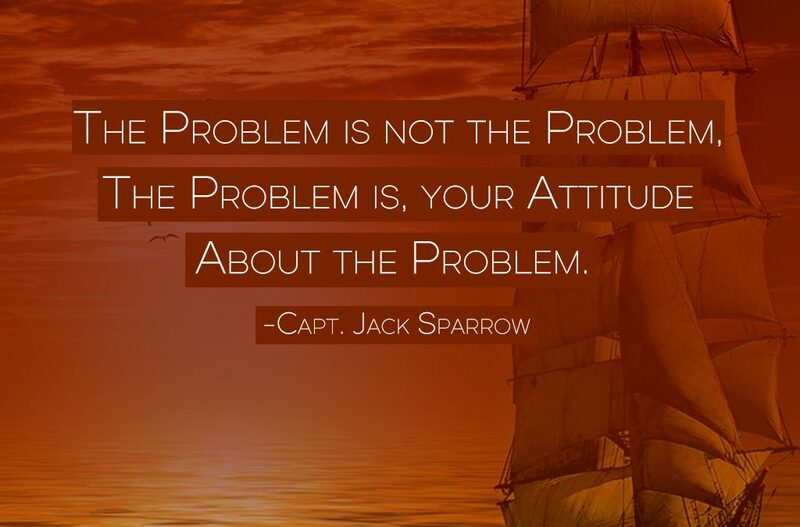 Our attitude about a problem is most likely the problem. As we dream about where we want to go, our vision, our business, our relationship, or our life, it is important for us to look at the attitude at which we are trying to solve whatever is before us. Our attitude going into a challenge, struggle, or even our successes, ultimately determines the outcome far more than whatever the struggle might be. If you believe that you’re going to win, you have a higher probability of winning. If you believe that you are going to lose, you are almost certain to lose. Our attitude about the problem is the problem.